Don’t be put on your back unprepared for the upcoming ice! At $15.48 for a 50# bag and $10.98 for a 12# easy spreader, Zero Ice – Ice & Snow Melter will keep you upright and safe. 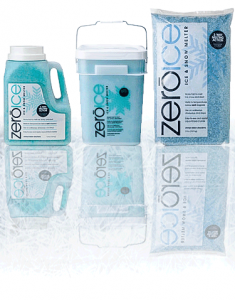 The selected ice melting compounds in Zero Ice are effective and proven and will beat any other ice melting products on the market. It contains magnesium chloride, potassium chloride and sodium chloride. It will work hard to melt the ice faster and also keep it from freezing again. House walk ways, drive ways, patios, office walk ways and parking lots, etc.